We now have the amazing BLACK HAWK range in stock. Black Hawk products are about naturally nourishing our dogs from the inside out. Every ingredient that makes it into our recipes has a nutritional purpose, so you’ll never find wheat, corn, soy, gluten, artificial preservatives, colours, flavours or any unnecessary fillers in Black Hawk. There are two main ranges, the Original range and the Grain Free range. We only get what's best for your pet. Have you tried our amazing natural hearty venison treats or the yummy tendons... no nasties in these treats and chewies! We have toys available for dogs and cats! We are the first veterinary clinic in New Zealand and Australia to stock the brand new amazing K9Connectables. Connect different toys to give dogs of all sizes hours of fun! Stuff with food or treats, use as alternative for a stick and tennis ball and connect to make challenging puzzles for your dog. 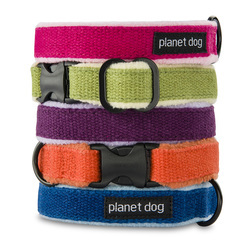 We also stock the 100% guaranteed Planet Dog toy range! We replace every time, any time! Made out of non-toxic soft but durable material. Come and check out their latest puzzle toy LINK... ideal as a slow feeder. The EASYWALK Harness is THE gentle and non-invasive way to stop your dog from pulling and choking. Come check them out at our clinic!